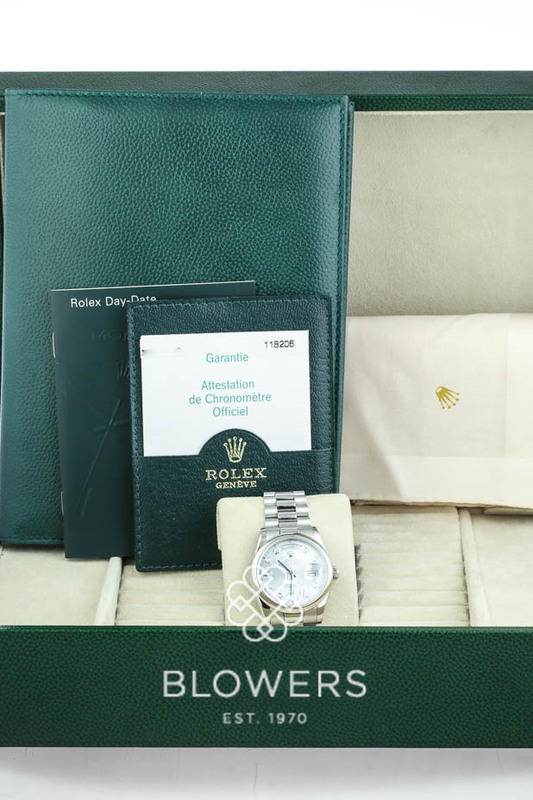 Rolex Oyster Perpetual DaRolex Oyster Perpetual Day-Date 118206y-Date 118206Rolex Day-Date 118206. 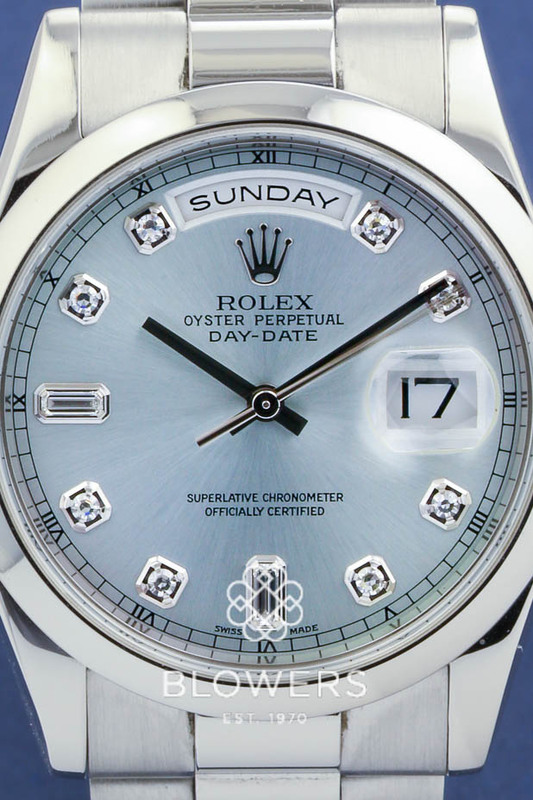 Rolex Oyster Perpetual Day-Date 118206. 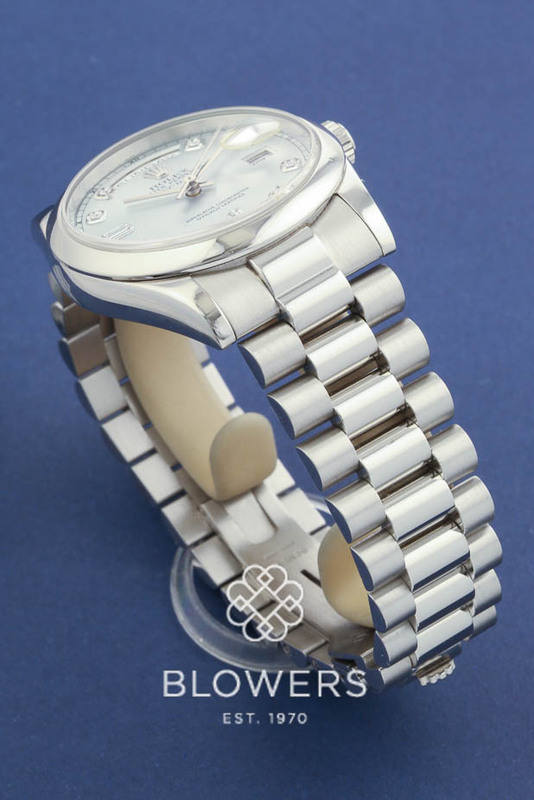 36mm diameter platinum case, which is water resistant to 100 meters. 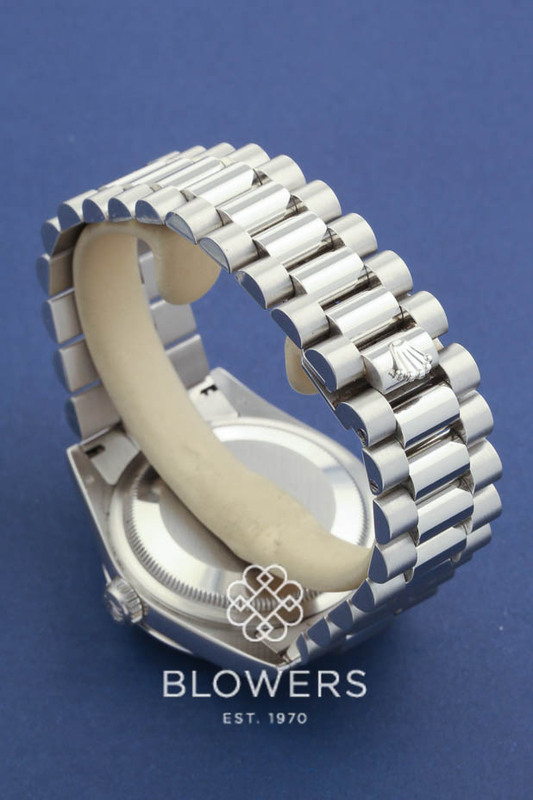 Automatic chronometer movement. Ice Blue dial with diamond dot hour markers, date at 3 o’clock position and day of the week display at the 12 o’clock position.Polished domed platinum bezel. 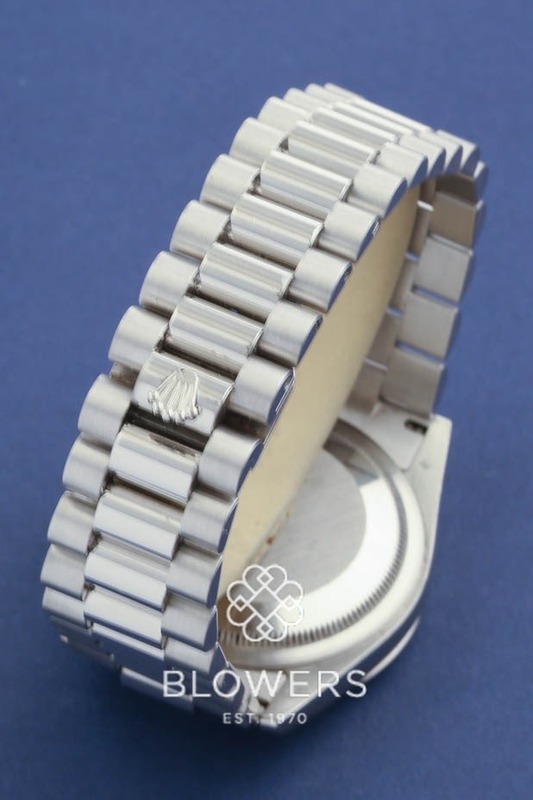 Platinum President bracelet with concealed clasp. Box and papers dated May 2003. SKU: 30-88-136. 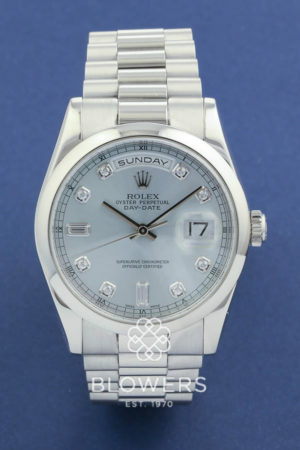 Categories: Day-Date, Gents, Rolex.